English dancer Gary Avis is Ballet Master and a Principal Character Artist of The Royal Ballet. 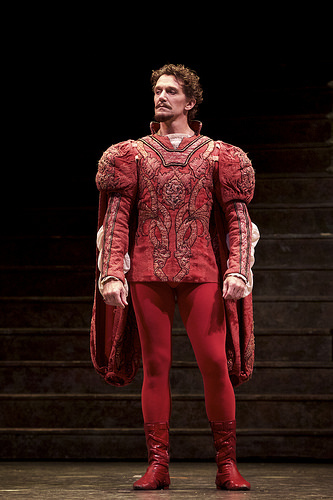 He joined the Company in 1989 and was promoted to Soloist in 1995 and to Principal Character Artist in 2005. He was made Assistant Ballet Master in 2007 and Ballet Master during the 2009/10 Season. 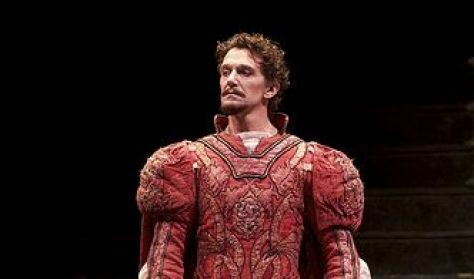 His many roles with the Company include almost all the male Principal Character roles, including Drosselmeyer (The Nutcracker), Von Rothbart (Swan Lake) and Step-Sister (Cinderella). He has created many roles for The Royal Ballet. He was born in Ipswich and began ballet aged 12, having originally trained in musical theatre; Gene Kelly and Fred Astaire remain major inspirations. He trained locally at the Linda Shipton School of Dance and at Bird College, Kent, before joining The Royal Ballet Upper School and graduating into the Company. He left the Company in 1999 to co-found K-Ballet Company in Japan, and danced with English National Ballet for two years before returning to The Royal Ballet in 2004. He has enjoyed a long dance partnership with Darcey Bussell, creating a role with her in Christopher Wheeldon’s DGV: Danse à grande vitesse and partnering her in her Viva la Diva Arena Tour, on ‘Strictly Come Dancing’ and at the London 2012 Olympics Closing Ceremony. In 2011 he was awarded an Honorary Doctorate by University Campus Suffolk and was awarded the Critics’ Circle National Dance Award for Outstanding Male Performance (Classical). He supports a wide variety of charitable causes and was involved in the creation of World Hunger Day. He is a patron of the Choreographic Development Fund at Dance East, the Wheelchair Dance Sport Association UK and Chelsea Ballet, and is on the board of Dance East.